Disney's Frozen Keyboard Just $24.99! You are here: Home / Great Deals / Disney’s Frozen Keyboard Just $24.99! Disney’s Frozen Keyboard Just $24.99! 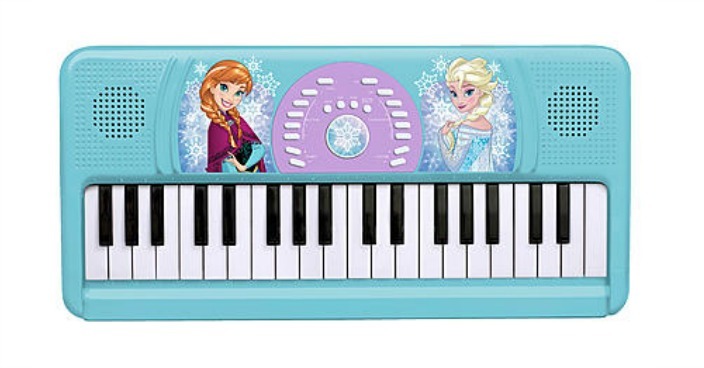 Sears has this Disney’s Frozen Keyboard for just $24.99! Plus you can get FREE shipping on orders over $49! Create your own music with this full tuned keyboard! Your sure to have a blast with the included sound effects and dozens of included songs and rhythms!